Pennsylvania Gov. 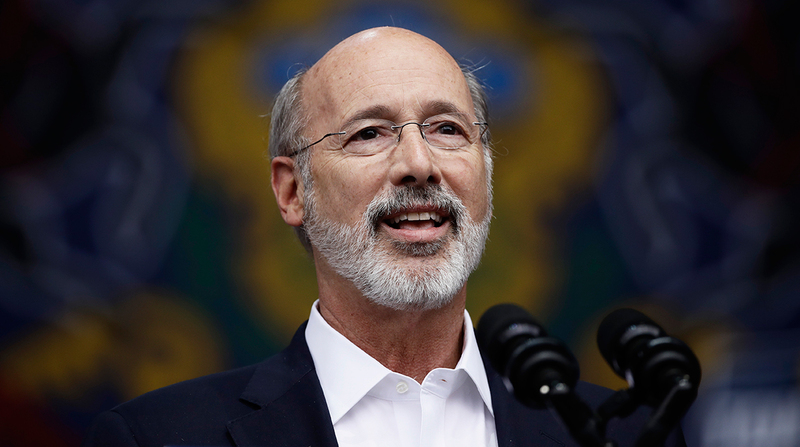 Tom Wolf has announced funding for 42 projects related to highways, bridges, transit, ports and pedestrian accessibility. Some $49 million has been allotted for the projects through the Pennsylvania Department of Transportation’s Multimodal Transportation Fund. Enacted in 2013, the Multimodal Transportation Fund supports transit, aviation, rail freight, pedestrian and bicycle initiatives. In an effort to redress the backlog of needed bridge repairs, 14 of the 42 grants were directed to local bridges. For example, a $1.3 million grant will rehabilitate three structurally deficient bridges in Centre County, which is located about 90 miles northwest of Harrisburg in central Pennsylvania. Another $1.1 million grant will be used to replace a one-lane bridge over Pickering Creek in West Pikeland Township with a two-lane bridge. West Pikeland is about 35 miles west of Philadelphia. The Philadelphia Authority for Industrial Development was granted $3 million to replace the 1890s-era timber deck structure supporting the main entrance to the city’s Navy Yard. The American Road and Transportation Builders Association reports that 18.3% of Pennsylvania’s bridges are structurally deficient. Other major grants dispensed during this round of funding include $1.3 million to Radnor Township to add turn lanes and a new traffic signal at King of Prussia and Eagle roads and $3 million to coordinate traffic signals at nine intersections in Luzerne County. Radnor, 18 miles west of Philadelphia, is home to Villanova University. Luzerne County is 120 miles northwest of Philadelphia. In all, 26 of the commonwealth’s 67 counties received funding. These grants are the latest in a series of funds that the governor has announced in support of multimodal projects. In February, Wolf announced $41.5 million for 45 projects that cover an array of highways, bridges, bike and pedestrian paths, ports and waterways. Wolf will face off against state Sen. Scott Wagner in Pennsylvania’s gubernatorial election Nov. 6. PennDOT will begin accepting applications for the next round of Multimodal Transportation Fund grants Oct. 5. Applications are due by Nov. 15. The agency will evaluate the applications and make selections on the basis of safety benefits, regional economic conditions, technical and financial feasibility, job creation, energy efficiency and operational sustainability. According to the notice, PennDOT will announce the next round of recipients around the time the funds become available in July.